There are quite a number of public gardens and other worthwhile parks—big, small, and tiny even—in the greater New York area. Of course, not all of these gems are dedicated just to the fuchsia… but they're still thoroughly interesting for the visit. 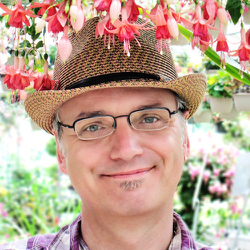 There's long a history to public gardens here, as well. 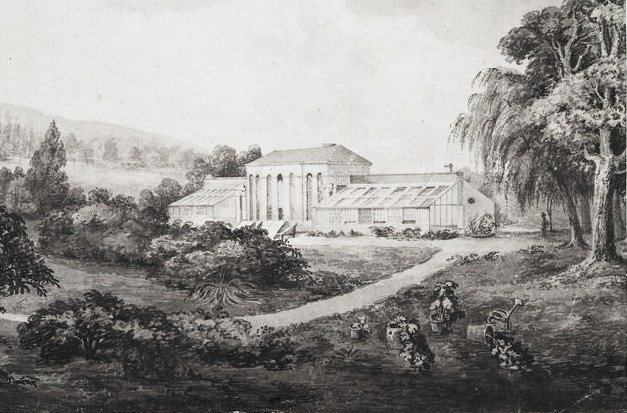 The first was the legendary Elgin Botanic Garden, founded in 1801 by one of the most prominent New Yorkers of his day. 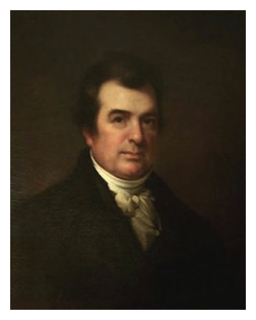 Dr David Hosack (1769-1835) was a leading physician, medical professor at Columbia College (now Columbia University), botanist and even a noted mineralogist. A colorful figure even as a young medical student, he once started a riot when he waved the arm of a cadaver out the window at a crowd of protesters that had collected in the street outside the school. The angry crowd had gathered on rumors of the nefarious practice of grave-robbers stealing and selling fresh bodies for dissection by students. Needless to say, the now thoroughly enraged mob were not amused to be told the arm belonged to someone’s mother. Hosack and his classmates had to beat a hasty retreat. Hosack is perhaps best known as the doctor who attended the dying Alexander Hamilton after his infamous duel with Aaron Burr. In 1801, Hosack started the Elgin Botanic Garden on a grant of fourteen acres from the City of New York. The garden was to be for the teaching of his medical students and the benefit of the public. Since plants with medicinal qualities were essential to treating the ailments of patients, establishing such a garden was of course of great importance to Hosack’s teaching. Amazingly, in the 1806 publication of the botanic garden's collection of over 1,500 plants, both the relatively recently described F. magellanica Lam. (1788) and Fuchsia coccinea Aiton (1789) are already listed. While the former does have some limited medicinal effect as a diuretic, febrifuge and astringent, these mild properties seem not to have been recognized in Hosack's time: The shrubs were certainly grown for the beauty of their flowers in his garden. And the benefit of the public. In spite of his personal means and considerable connections, Hosack was unable to maintain his private endeavor for long. His attention also seems to have drifted elsewhere as he concentrated on the foundation of Rutger’s Medical College in New Jersey. By 1810, the garden would be purchased by the State of New York, enabled through an act of its Legislature, and placed in the care of the Regents of the University (now SUNY). Abandoned and fallen into decay, the land was eventually given to Columbia University by the State for its benefit in lieu of any cash support in 1814. It became known as Columbia’s Upper Estate. 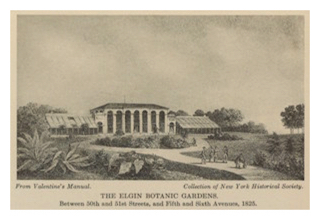 Today the Elgin Botanic Garden is a long-forgotten memory and Rockefeller Center rises where it once stood. Such is the history of progress in New York City, I suppose. (Illustrations: 1. View of the Botanic Garden of the State of New York, Hortus Elginensis, 1806; 2, Portrait of David Hosack, Rembrandt Peale, 1826; 3. 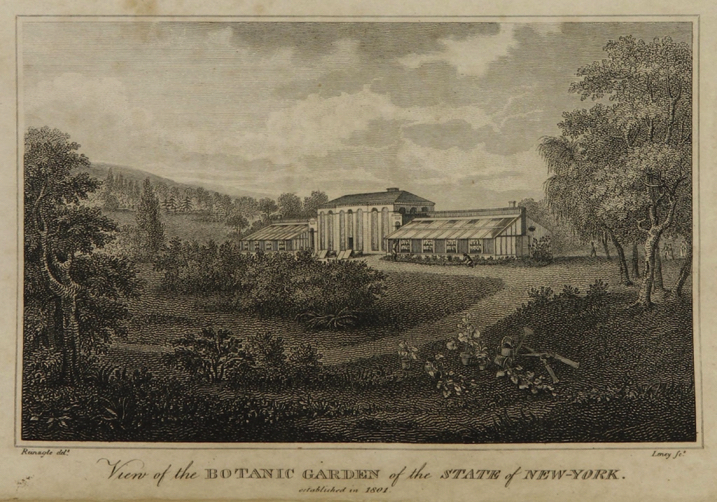 The Elgin Botanic Gardens: Between 50th and 51st Streets and Fifth and Sixth Avenues, 1825, New York Historical Society, printed in Fifth Avenue Bank of New York. Fifth Avenue; glances at the vicissitudes and romance of a world-renowned thoroughfare New York, 1915; 4. Elgin Gardens of Fifth Avenue 1812, New York Public Library; 5. 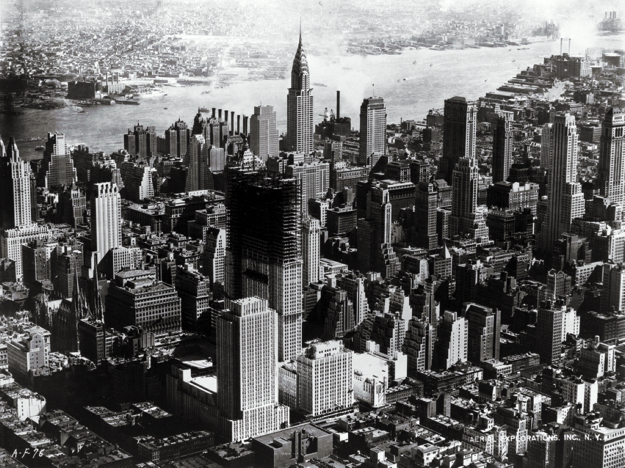 Rockefeller Center Under Construction, Hamilton M. Wright for Aerial Explorations, Inc., 1932, The Library of Congress.